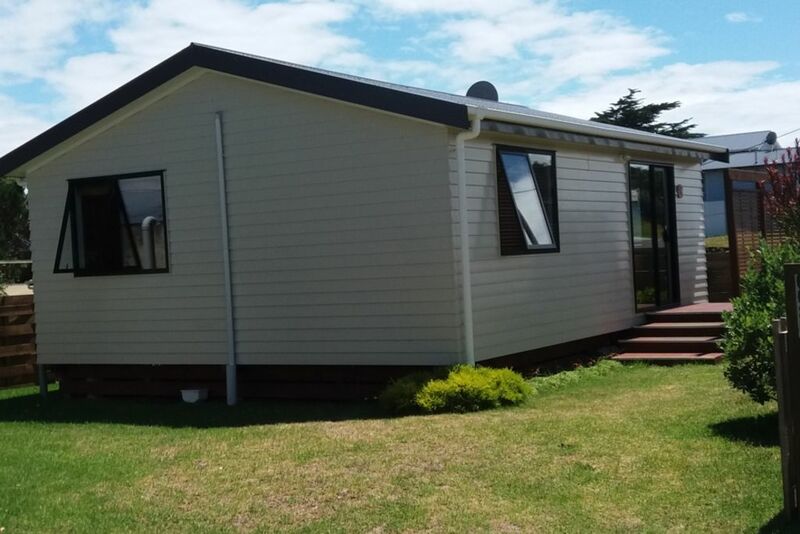 7 ans, maison ensoleillée, près de la plage Waitarere (400m). Four Square Shop (vend tout - y compris des repas et une délicieuse pâtisserie), cafés, restaurant et bar, courts de tennis, aire de jeux pour enfants, terrain de boules, accessibles à pied. Plusieurs poissons et friteries disponibles, 2 à distance de marche. Waitarere Beach est très adapté aux enfants, a une bonne natation avec des patrouilles de sauveteur tout l'été à Pâques. Un endroit idéal pour des vacances reposantes en famille. FAMILLE ET SPÉCIAUX HEBDOMADAIRES, VEUILLEZ DEMANDER. BUGGY SPORT À 3 ROUES (PUSHCHAIR) AUSSI DISPONIBLE. LA SECTION PEUT ÊTRE FERMÉE AVEC UNE CLÔTURE AMOVIBLE. Lovely place, lovely people! Thank you!!!!! We enjoyed our stay in this cute little Lockwood cottage. Everything was clean and tidy. Elaine was lovely and welcoming. We'd happily come back and stay here again. Thanks for your kind words, was a pleasure having you visit our little patch of paradise, welcome back anytime. Loved our stay here - great cottage with everything we needed and great location close to the beach, shops and domain. Thanks for great review, very pleased you enjoyed your stay.....thanks for doing the washing and leaving cottage spotless....much appreciated. Had a great night here, wished it could of been longer. Next time we hope!! welcome from our hostess Elaine. Thanks, was a pleasure having you visit our cottage again. Also a big thanks for leaving the cottage immaculate and for doing the washing...much appreciated. Welcome back anytime. This Bach is in a great location, is immaculate and definitely very well set up for 3 or 4 people. Elaine was super helpful and pleasant and while the Bach shares a property with Elaine's home there was 100% privacy. We will definitely be going back. It was a pleasure having you to stay in our cottage and you will be welcomed back anytime. Easy and comfortable accommodation! Good size for two adults and two kids with the extra bed set up. The kitchen has everything you need, and the extra kids toys and DVDs were great to have around. Nice outdoor area too, with deck and BBQ. Owners kindly set up the fence and gate to secure the property for our young children. Highly recommended! Thanks for the great reveiw, it was a pleasure having this family of 2 adults and 2 beautuful children stay in our cottage. Welcome back anytime.